Nashville has been chosen to host the 2019 NFL Draft. The combined Canton-Cleveland bid is still in play for 2020. CLEVELAND -- Nashville, Tennessee has been chosen as the host city for the 2019 NFL Draft. The National Football League made the announcement after a session of the NFL Owners’ Meetings in Atlanta. A host city for the 2020 NFL Draft was not yet chosen. Nashville was chosen to host the 2019 NFL Draft from a group including Las Vegas, Denver, Kansas City and a combination bid from Canton and Cleveland, Ohio. 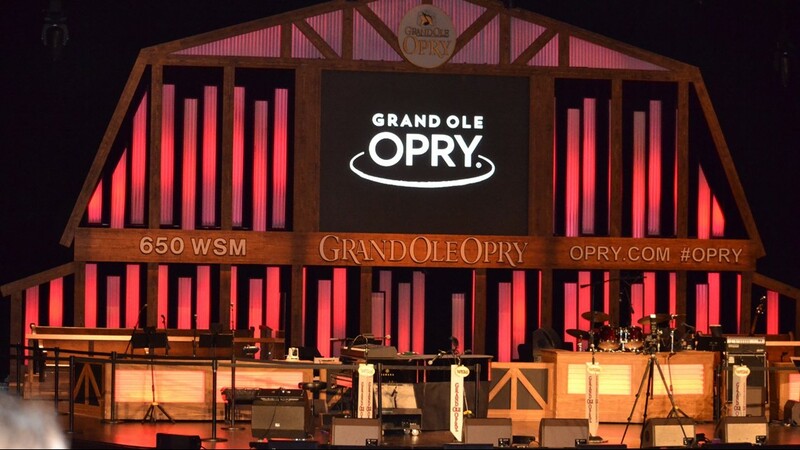 A general view of the stage at The Grand Ole Opry in Nashville, Tennessee, which was chosen as the host city for the 2019 NFL Draft. 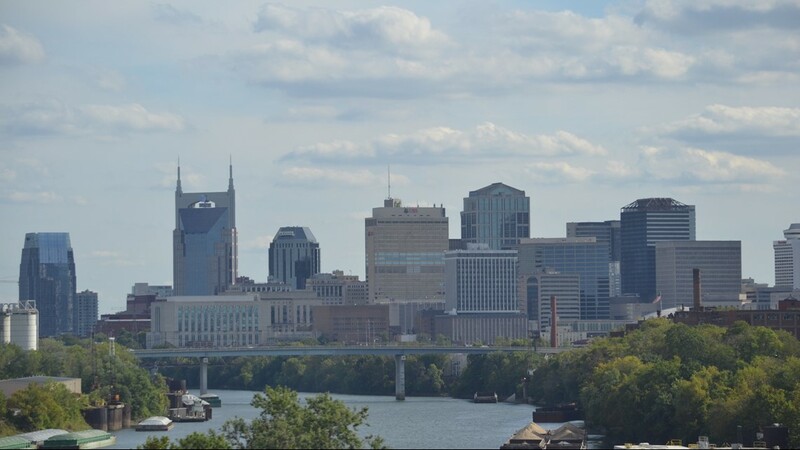 A general view of the skyline of Nashville, Tennessee, which was chosen as the host city for the 2019 NFL Draft. 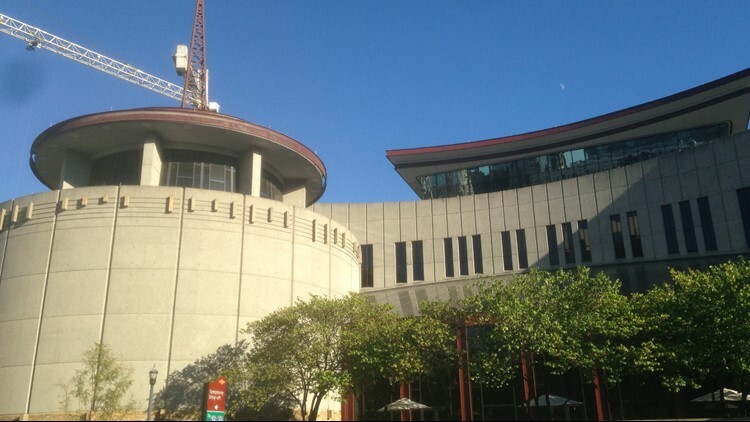 A general view of the exterior of The Country Music Hall of Fame in Nashville, Tennessee, which was chosen as the host city for the 2019 NFL Draft. An exterior view of The Grand Ole Opry House in Nashville, Tennessee, which was chosen as the host city for the 2019 NFL Draft. 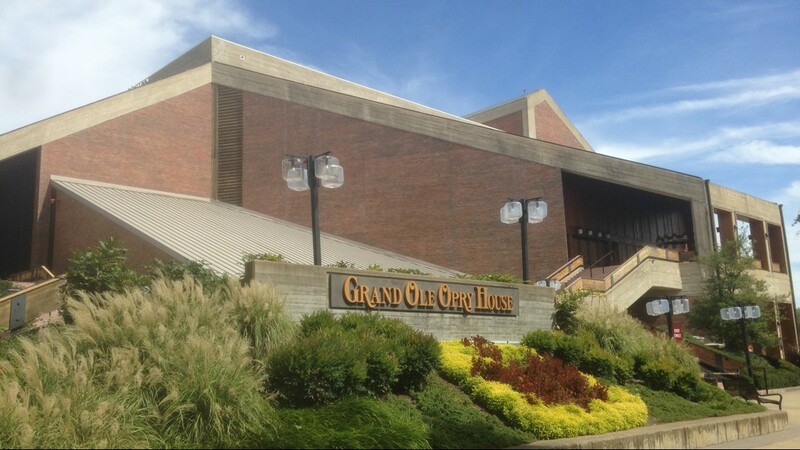 An exterior view of The Grand Ole Opry in Nashville, Tennessee, which was chosen as the host city for the 2019 NFL Draft. Although Nashville was chosen to host the 2019 NFL Draft, the Canton/Cleveland bid is still in play to host the 2020 NFL Draft. “We offer congratulations to Amy Adams Strunk, the Tennessee Titans and the city of Nashville and look forward to a great fan celebration during the 2019 NFL Draft," Pro Football Hall of Fame President and CEO David Baker said in a statement released shortly after the announcement. "The Hall of Fame, in partnership with the Cleveland Browns, the Cleveland Sports Commission and Visit Canton stand ready to host the NFL Draft in 2020 should we be selected. 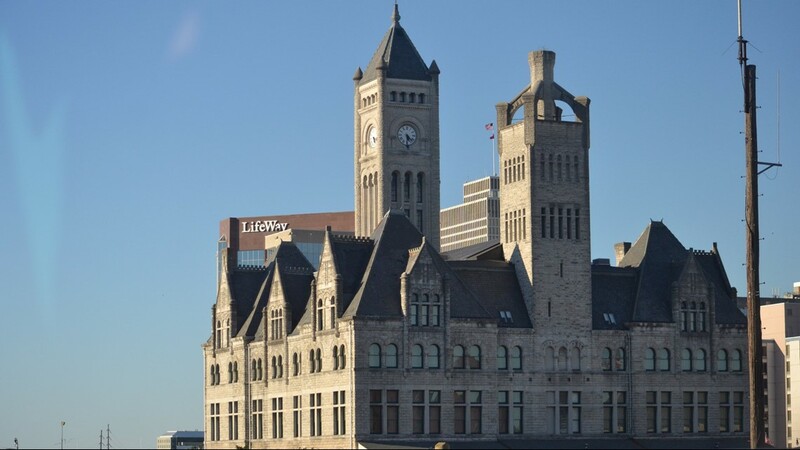 "In the meantime, the Hall and the entire Canton region remains focused on preparing for the once-in-every-other-lifetime opportunity in 2020 to celebrate the NFL’s Centennial in Canton, the birthplace of the league." Back in March, the National Football League joined representatives from the Pro Football Hall of Fame, Cleveland Browns and visitor’s bureaus of both Cleveland and Canton on a site survey ahead of the decisions on host cities for the 2019 and 2020 NFL Drafts. The combined bid of Cleveland and Canton was chosen as a finalist to host the NFL Draft in either 2019 or 2020 on February 15, 2018. In addition to the Cleveland/Canton bid, Kansas City, Nashville, Denver and Las Vegas were selected as finalists. The NFL held their annual draft in New York City from 1965 through 2014, but three years ago, league officials took the show on the road. The NFL Draft was held in Chicago for two years (2015, 2016), and on the steps of the famed Philadelphia Museum of Art in “The City of Brotherly Love” this past year. The 2018 NFL Draft will be held at AT&T Stadium in Arlington, Texas, from April 26-28. The 2019 NFL Draft coincides with the league’s 100th season, and the 2020 event will recognize the centennial of the establishment of the NFL in Canton, Ohio, on August 20, 1920. “This area being the birthplace of pro football, and obviously, the way the draft has evolved where it really is a tremendous reflection on the community and the passion for football here, obviously, the depth of football on all levels, right down to youth football and sports in general, I think this would be a great community,” NFL Commissioner Roger Goodell told reporters on a visit to Browns Training Camp last August. 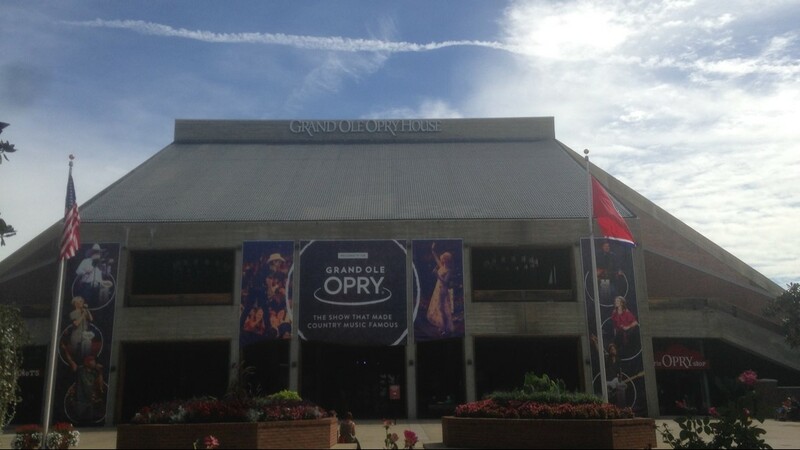 A general view of the exterior of The Country Music Hall of Fame&nbsp;in Nashville, Tennessee, which was chosen as the host city for the 2019 NFL Draft. In recent years, the Pro Football Hall of Fame has committed to making itself a must-see vacation destination for football fans with the expansion of their facilities to better honor the history of the game, including the renovation of Tom Benson Hall of Fame Stadium and the construction of a hotel. Set to be completed in 2019, the $700 million renovation project will feature a holographic theater, the Black College Football Hall of Fame, a national youth sports complex, The Center for Excellence to grow a safer game and a Performance Center for multi-sport usage, as well as the Hall of Fame Hotel and Hall of Fame Promenade. “The draft really has evolved, and it’s because of the passion and the interest in it,” Goodell told the media following the Browns Fan Forum last August. “I think they each bring their own twist to it, their own flavor, and I think that’s what’s really made it so special for us in the couple years we’ve been moving it around.